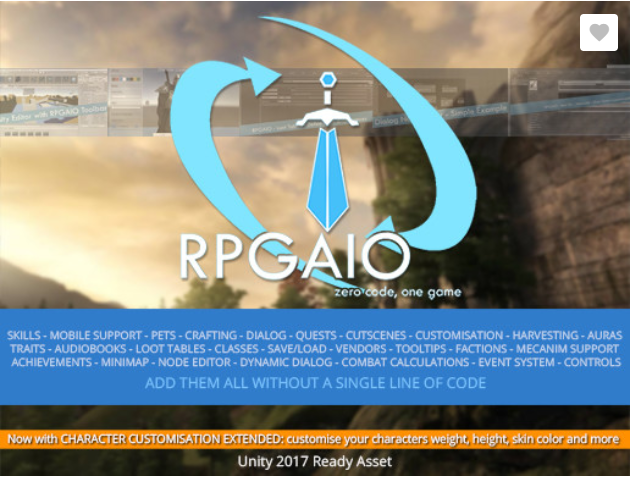 RPG All-In-One (RPGAIO) is a huge creation tool for RPG games in continual development. It boasts a fully code-less interface from start to finish to create your RPG game. From main menu to end credits, an entire game can be created without writing a single line of code in just a few hours!